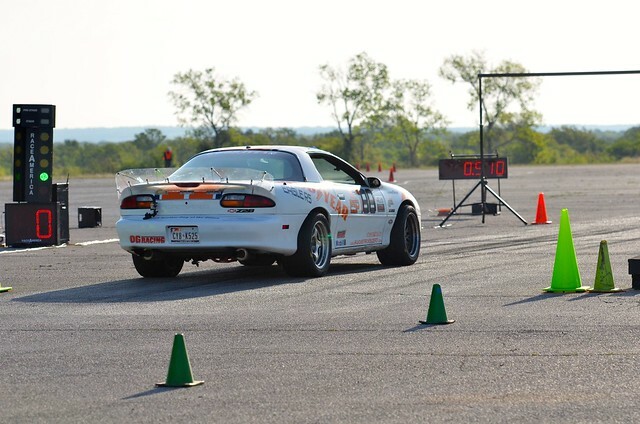 I competed in my first SCCA ProSolo event on April 13th and 14th in Mineral Wells, TX. I had a blast, learned a lot, and kept myself in the hunt for the ESP National ProSolo championship. During Heat 1, I had the advantage of being the 2nd driver in our ESP Camaro and I think starting with hot tires and running my runs very quickly back to back really made a difference. I finished 3rd in Bump Class and 1st in ESP after Heat 1 and was looking to hold on for the remaining two heats. The Mineral Wells surface is not known for picking up grip or rubbering in during the weekend, so I struggled to pick up pace during Heats 2 and 3. With Heat 1 being my first ProSolo and not being able to participate in the practice starts, my starts were slow and I was giving up 0.3s per side just with reaction time....obviously this did help my cause. I ended up improving by 0.003 seconds on the left course during Heat 3. This did not affect my standing and I finished 5th in Bump Class and 2nd in ESP for the National points tally. My next event will be the ProSolo and Championship Tour for the Spring Nationals over Memorial Day in Lincoln, NE. I have a few updates planned for the Spring Nats and will be posting up my progress over the next few weeks. My Dad cutting a good light....I could learn something! PHOTO CREDIT: ALI OGBURN - Thanks! We run 2 heats tomorrow and 1 on Sunday Morning. The head-to-head Super Challenge will run on Sunday afternoon for the top 32 qualifiers! 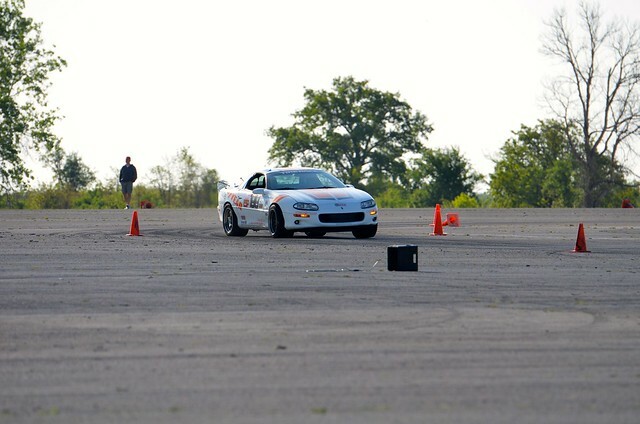 SCCA ProSolo Series: What is it? 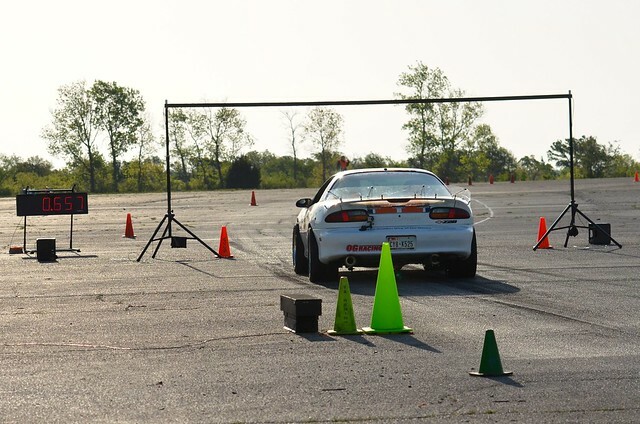 Take two parts autocross and one part drag racing, mix thoroughly and you get the Tire Rack SCCA ProSolo Series. 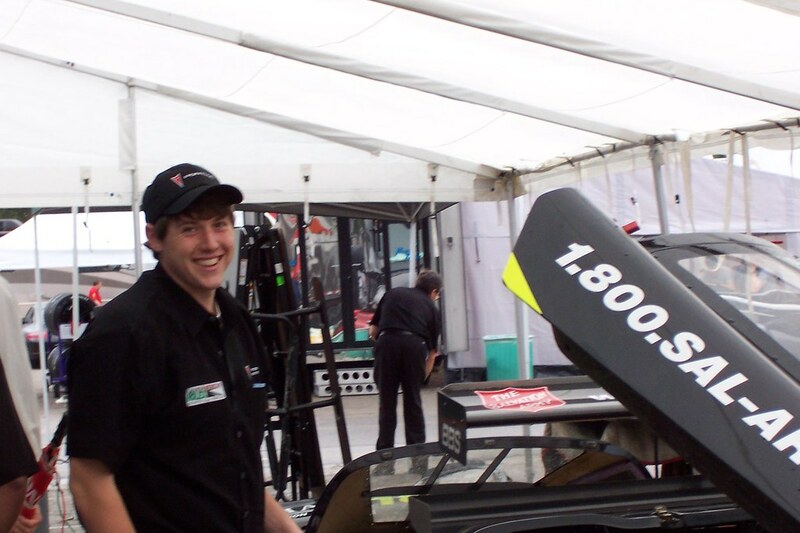 Drivers face off, side-by-side at a “Christmas Tree” start, before launching themselves down a straightaway and into mirror image autocross courses. 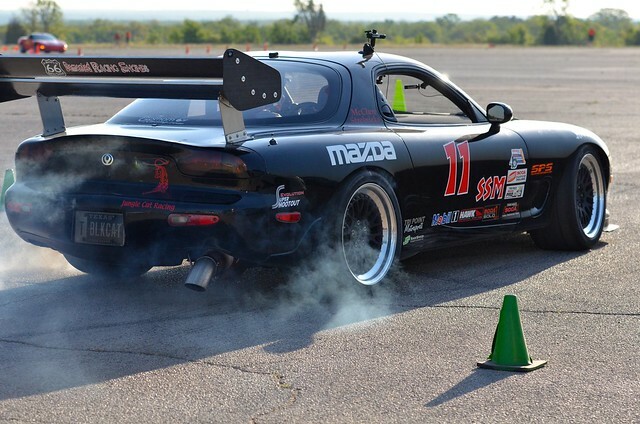 Three rounds of class competition gives drivers 12 total runs, 6 on each course. Not only do these runs determine the class winners, it sets the overall qualifying order for the second part of the event which determines the overall winner. The top qualifiers enter into single elimination brackets and run off until only one remains; the Top Eliminator. The Ladies Challenge pits the top Ladies’ qualifiers against one another, while the Gumout Super Challenge features the top 32 Open Class competitors in a winner take all battle. There is even a Bonus Challenge where randomly selected non-qualifying drivers can compete for prizes and bragging rights. Competitors earn Challenge points throughout the season toward the Overall Ladies and Open ProSolo Championships. In addition, ProSolo Zone Champions are crowned in each class based on points earned in the Atlantic, Mid-America and Pacific Zones. Zone Champions may then compete with other top drivers for a ProSolo National Championship. Class National Championships and the Overall ProSolo Championships are determined by combining regular season points with points earned at the ProSolo Finale in Lincoln, Nebraska. Whether you are a seasoned Solo veteran or just starting out in National Series competition, ProSolo has something to offer. 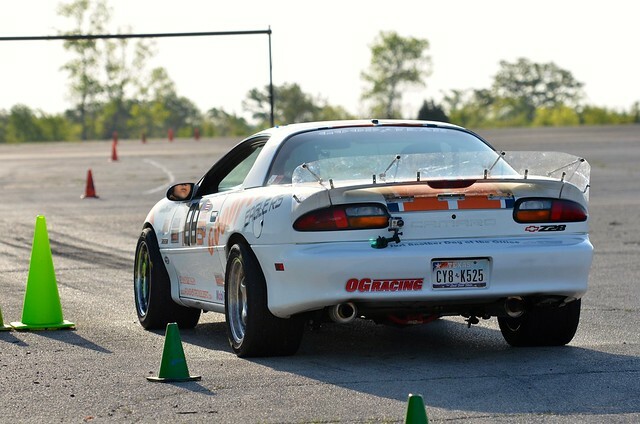 Top-level class competition, lots of seat time, awesome courses, heads up competition, the community and camaraderie of Solo, and the excitement of drag racing all combine to make ProSolo the most intense form of autocross on the planet! !